Dorothy Perkins created a 'Style Heroes' campaign to share the top trends and stylish pieces for SS16. 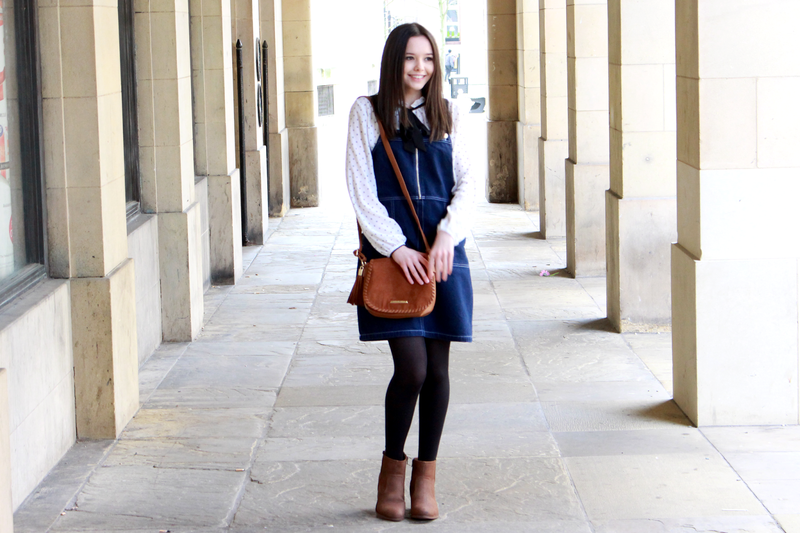 They've got everything from the shirt dress, shoe boot, sleeveless jacket to the pinny dress and romantic top which I have chosen to style on my blog today. They also have a whole lookbook with the Style Heroes featured so you can stay on-trend and start getting summer-ready. 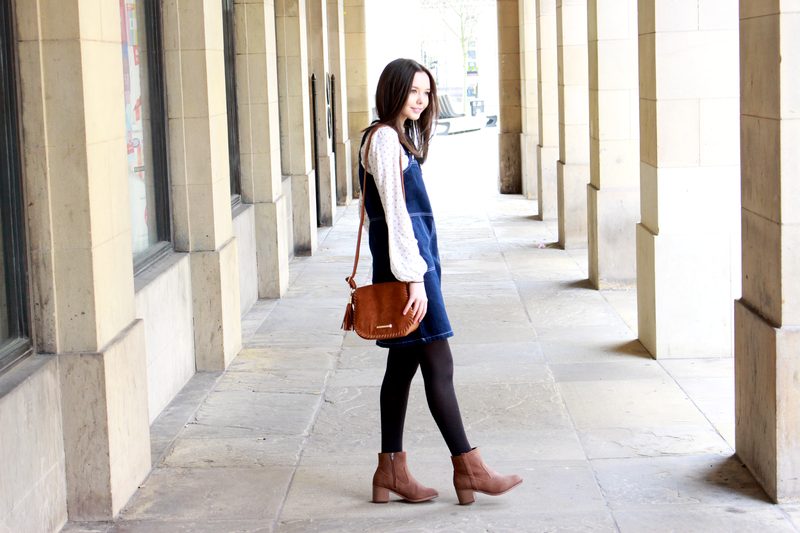 If you have been reading this blog for a while then you know that the pinny dress is one of my favourite pieces to wear and I am so happy they're back again for Spring and Summer. 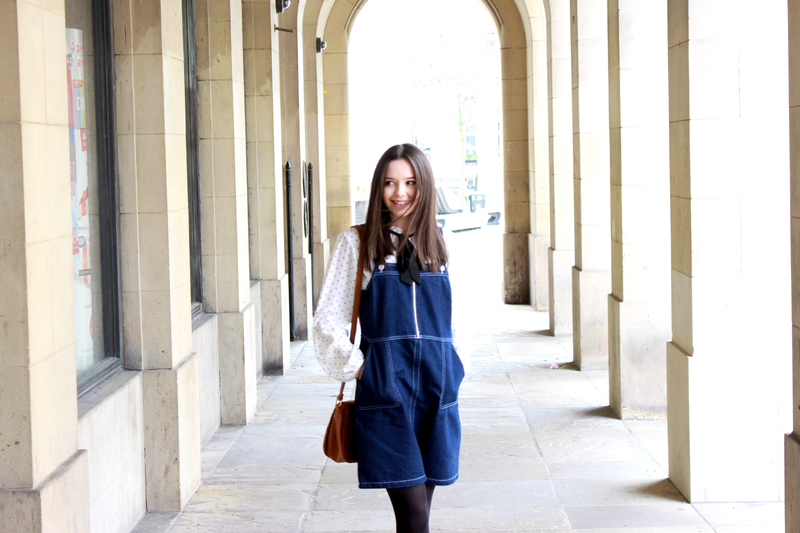 Denim is also popular and I was instantly drawn to this pinafore. 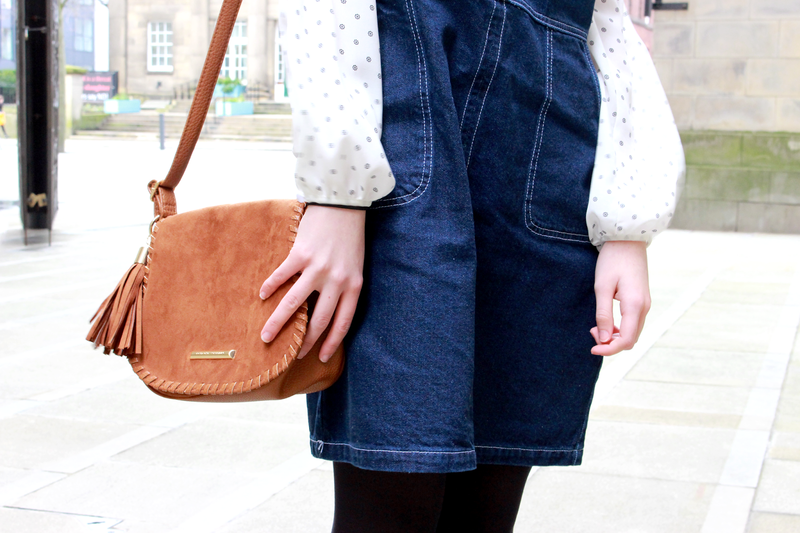 I love the colour and detailing of the zip - it's really different to the collection of pinafore's I own already. 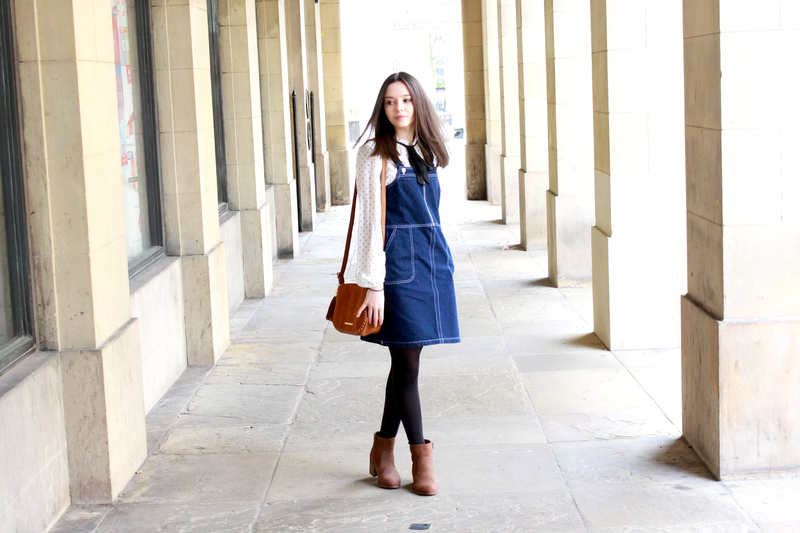 It is also available in the petite section which is the perfect size for those 5ft 3 and under. 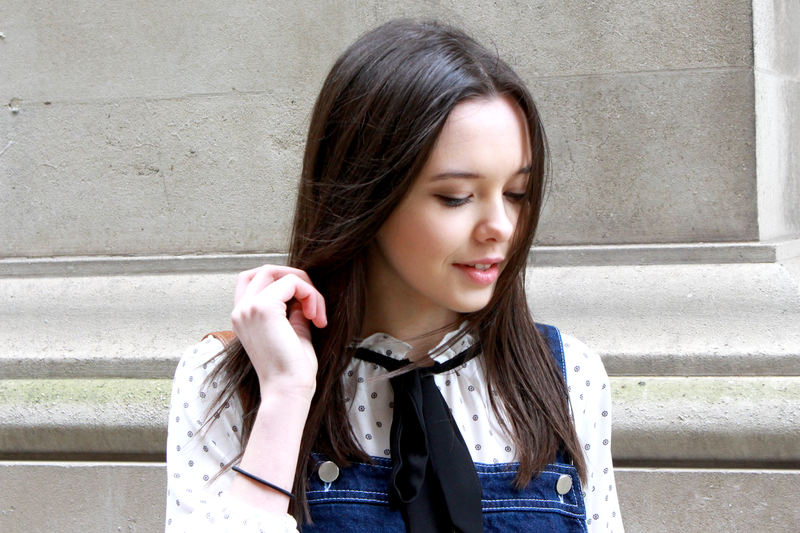 I matched the dress with a the Monochrome Frill Neck Top - something that screams 'me'. 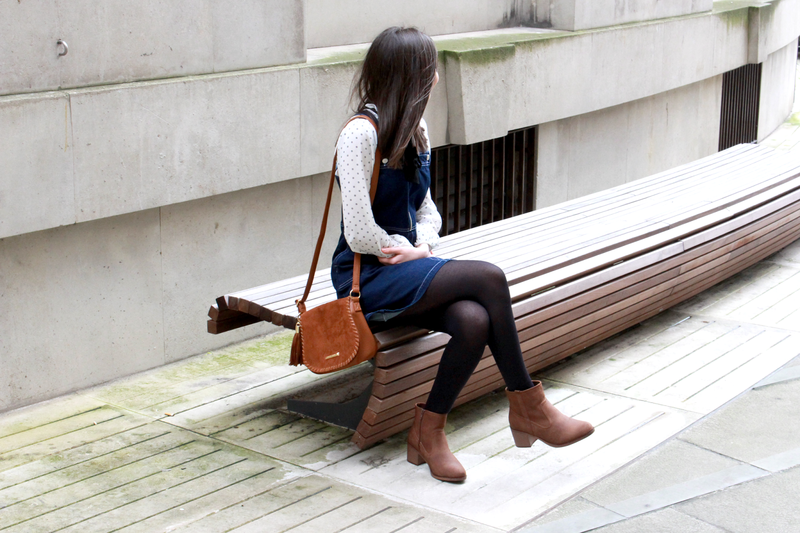 I also styled the denim with the Tan Whipstitch Saddle Bag and Chocolate Whistle Boots, the colours belong together and are a fashion favourite this season. I love the collection of Pinny Dresses and Romantic Tops that Dorothy Perkins has to offer so I plan to stock up my wardrobe. At the moment they have 25% off the new season items so check out the amazing prices below!! What SS16 trend are you loving? You looks gorgeous. 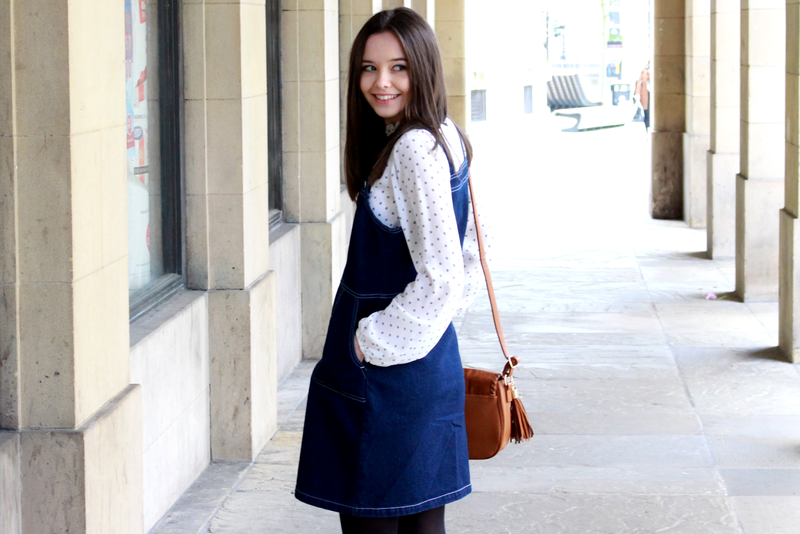 I really like this denim pinny dress. It's suits you perfectly. Loving your hair too. It looks so pretty. love your style, you look so cute in this!